A MATCH MADE IN HEAVY METAL HEAVEN! I was very excited when I walked into The Opera House for this concert. 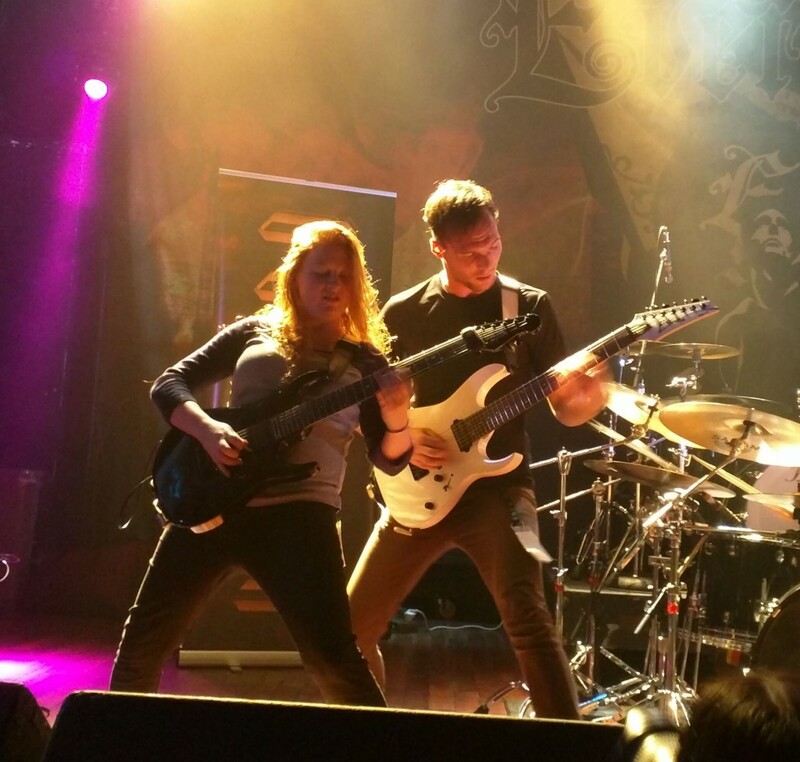 All three bands’ latest releases have been very impressive and for once they put together a bill where all groups belong to the same genre. I got there when the very first band Oceans Of Slumber was playing their last song, so I’m really unable to comment on their performance for the purposes of this review. I had never been to this venue before and I’ve got to say I really liked it! It has the perfect size and the layout — even though the floor is flat — helps so you can see the stage from anywhere you’re standing. Luckily, I didn’t need to use this advantage as I was able to get to the front without any problems. 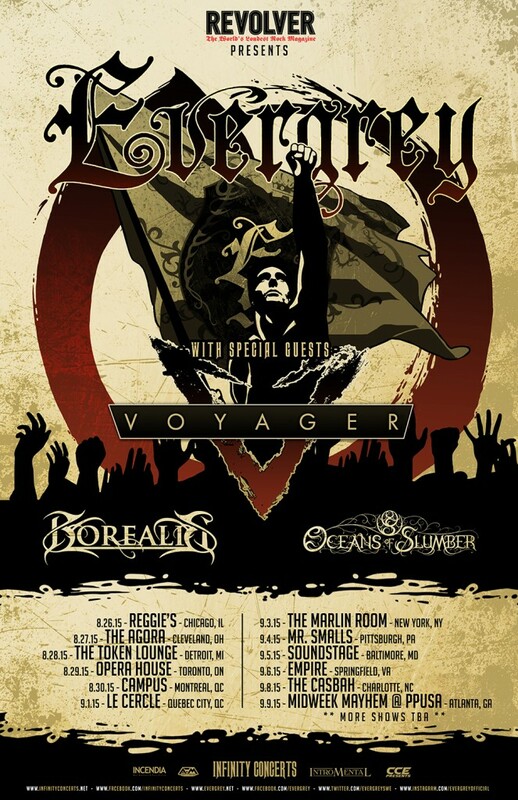 Since I really liked Borealis’ new album, I was very interested in seeing them play live and finding out how their songs sounded live, and I have to say I wasn’t disappointed! 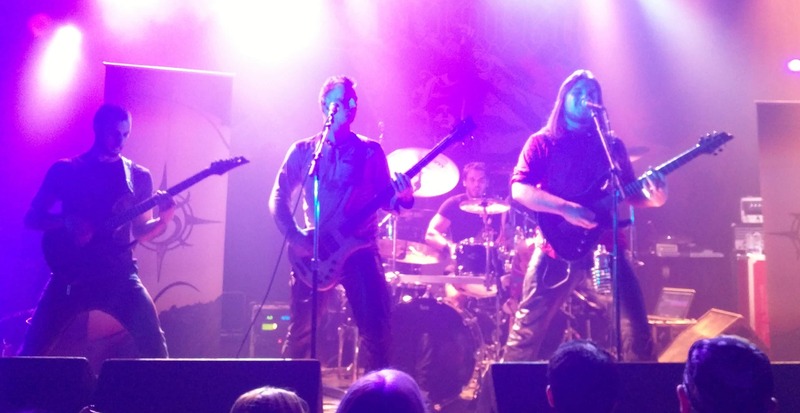 Borealis‘ hometown is only about one hour away from Toronto and even though the band brought a good sized fan base including family and friends, when the group started performing, there were only a couple of dozen people really waiting for them. You could tell because everyone else inside the Opera House were seemingly just hanging out, talking and/or having a beer. But as soon as Borealis came out and finished their first song, almost everyone who was there got closer to the stage to see them play. After a short fifteen minute wait and a quick trip to the bar, I was ready for Voyager with beer in hand. In their case, I’ve known about them since their 2011 release The Meaning Of I, which I really enjoyed. Then at some point, I got their newest album V, but it got lost in my pile of new releases. I seem to recall listening to it once or twice but not a lot, which after this concert is something I will rectify because let me tell you, they came out with the best of attitudes and delivered an ultra-impressive performance! Daniel Estrin’s voice is very unique and what I consider an acquired taste, especially on Voyager‘s records but live, it’s a completely different monster. Estrin‘s voice blends so beautifully with the band and when he sings melodies, they are perfect! Voyager performed for about one hour, which is not a long set but still they had the balls to include a medley of very peculiar covers that included the themes from Game Of Thrones, Ghostbusters and a song by none other than the Backstreet Boys! At first, faces in the crowd were all like: “What is happening?” But after a minute, everyone was clapping and very much into it. With Voyager‘s surprise set of covers, they just came off as a fun and amazing band with a great stage presence and who were not afraid of being completely different. Of course, they also rocked a lot of their own magnificent tunes like “The Devil In Me,” “Hyperventilating” and “Breaking Down.” Everyone in the band gave their heart out, having fun and enjoying themselves. 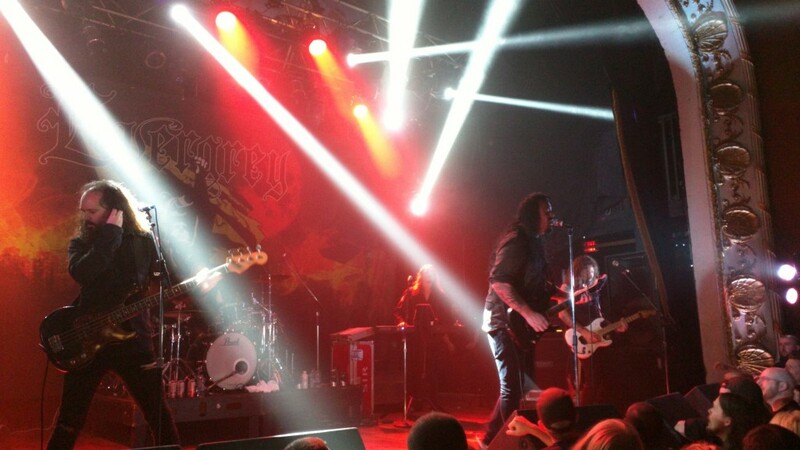 Once again, a lot of the people who went for Evergrey were all over Voyager‘s merchandise at the end of their performance. As if those two bands weren’t enough, there was still the main event to look forward to. The place was pretty full by that time and the crowd couldn’t be more excited. 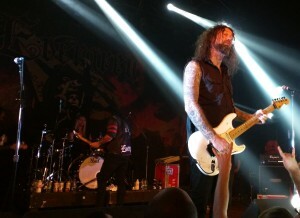 The bands’ crews saw to it that the wait wasn’t long and after only about twenty minutes, Evergrey were up on stage. 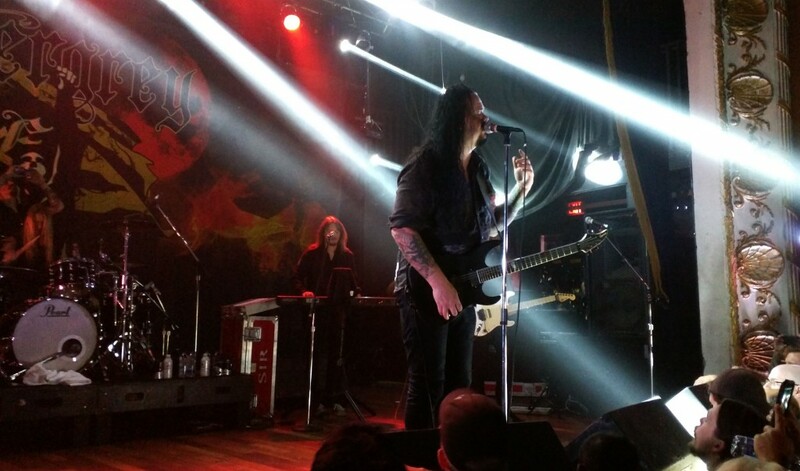 After the instrumental intro “The Awakening,” they kicked the show off with “King of Errors” which was to be expected being the single for the new album Hymns For The Broken. 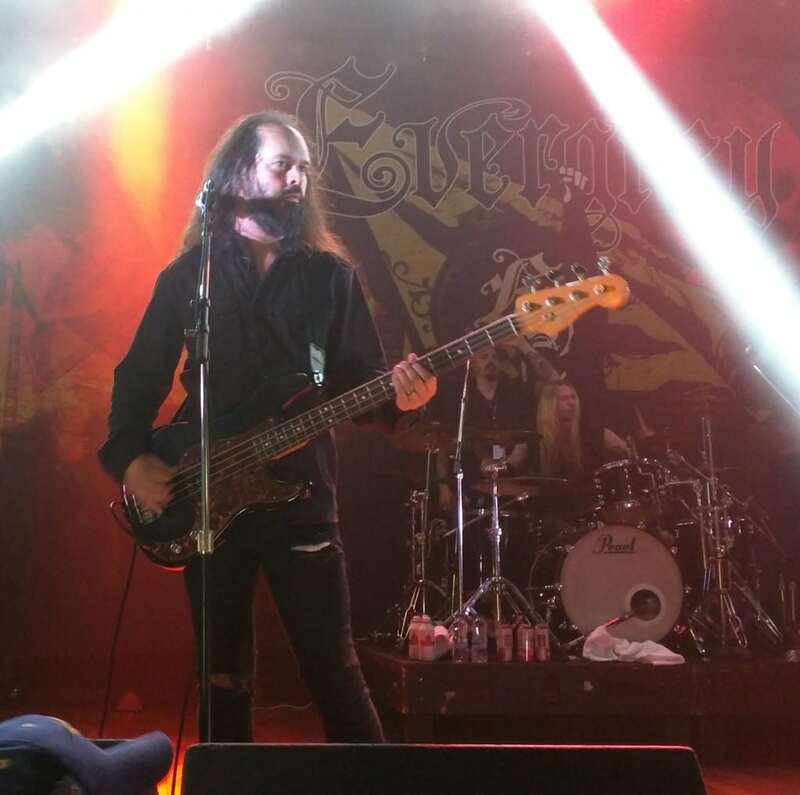 With all that’s happened with Evergrey over the years, as far as members coming and going and their releases, I wasn’t sure what to expect in terms of their setlist. I’m very partial to some of their records and I’m happy to report that the songs they played were in its majority a selection of those albums. It probably has to do with the return to the band of guitarist Henrik Danhage and drummer Jonas Ekdahl, a fact that brought a big ovation when mentioned by frontman Tom S. Englund during the show. All in all, they played almost every song I could have wished for. Englund was great throughout interacting with the audience and talking about his 20 years on the metal scene. He even joked around about how coming all the way to Nor th America made bringing all their instruments along very difficult, as a way to explain the delay caused when strings were being replaced on a guitar. My kudos to Revolver and Inertia Entertainment for putting this ensemble together. Finally, a show where all bands appeal to the same crowd! I know that mixing different genres of bands is a ploy that helps to fill venues and it’s sometimes necessary for shows to happen, but this line-up was just perfection.